Gasket: EPDM, Silicone, Viton, NBR, PTFE, Viton. All Are FDA 177.2600 Approved. 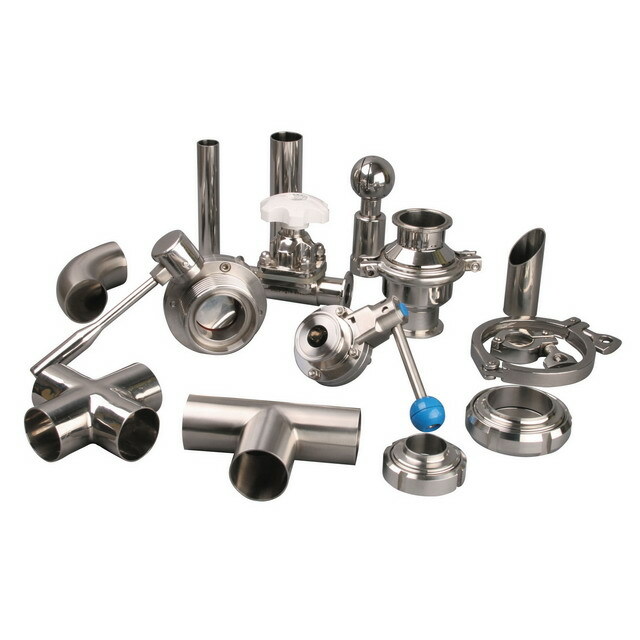 We are one of the best supplier and manufacturer of Sanitary Valves and fittings in China, Direct Way Sanitary ball valves is also called as 2 way Hygienic Ball Valves which are opened by Handle Manual / Pneumatic / Electric Actuator in 3A, DIN, SMS,etc Standard. Sanitary Stainless Steel Ball Valves Direct Way 3A Ball Valves Material are SS304 or SS316L. Structure: T / L Type, Connection way, Thread / Clamp / Weld . PMI test to verify material grade. Each product will be inspected by inspector. Large stock ensure the fast delivery time. Superior facilities and good experiences for fabrication. We supply the fast and the best after-sale service. Looking for ideal Sanitary Ball Valves Manufacturer & supplier ? We have a wide selection at great prices to help you get creative. All the Sanitary Direct Way Ball Valves are quality guaranteed. We are China Origin Factory of Hygenic Ball Valves. If you have any question, please feel free to contact us.